Mr. Eddie Pitts was born on May 8, 1961. He was born to Lila P. Thomas and Frank Thomas of Lee County, Alabama. On December 12, 2016 , Eddie closed his eyes at his residence to go from labor to reward. He was 55 years of age. Mrs. Lila P. Thomas and Frank Thomas have preceded Eddie in death, as well as one sister, Frankie Pitts ( Columbus, Ga) and brother, Jerome Thomas (Alabama). 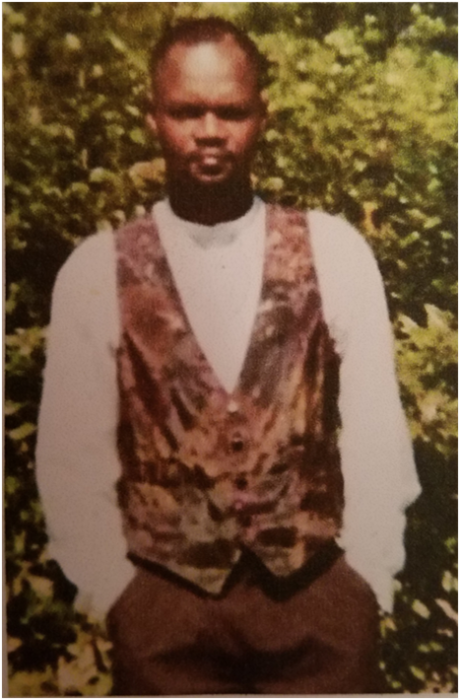 Eddied lived in Columbus, Georgia, and worked in the family business at Pitts Auto Detail. Many of his earlier years of employment involved: automotive paint and collision repair at Maaco and Expressway Body Works. He is survived by his son, Eddie Stafford of Columbus, Georgia; two daughters, Whintey Keller of New York and Jacinta Davis of Columbus, Georgia; two grandchildren, Ja’Qwan King Davis and Boris Quintez Hamler, Jr.; eighteen sisters and brothers: Virginia Pitts and Sandretta Cook (Benjamin) both of Columbus, Ga., Gretchen Floyd (Travis) of Grove City, OH, Maxine Wimberly, Adrian Wimberly and Larachel Wimberly all of Smiths Station, Ala. Antoinetta Henderson of Phenix City, Ala., Glenda Kitchen (James) and Teresa Williams (Charlie) both of Cussetta, Ala., Cynthia Thornton (Robert) of Opelika, Ala., Jimmy Pitts (Budjet) of Smith Station, Ala., Danny Pitts (Berniece) and Joseph Pitts both of Columbus, Ga., Joe Frank Wimberly (Sabrina), Ellis Ricks (Sarah) and Eddie Jean all of Valley, Ala. And a host of aunts, uncles, nieces and nephews.